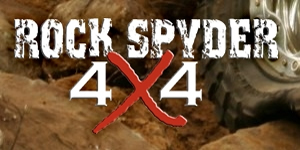 Located in the Greater Toronto area, Rock Spyder 4x4 is a 4WD specialty shop that offers service, accessories and parts for everything from mild to wild. Custom work is our specialty, as well as maintaining a full-service facility for all makes and models of 4WD vehicles. Lift kits, suspensions, tires and wheels, custom fabrication… we have everything you need to enhance the performance and appearance of your vehicle. Check out our website to learn more about us! For more information or to purchase Yukon Gear and many other great brands at the best prices, call toll-free at 877-294-0494. © 2007-2017 Rock Spyder Motorsports Inc. All Rights Reserved.